I think this has been the fastest year of my life. HOW IS IT ALREADY JULY? We’ve been over here burning up with the hot temperatures and high humidity in Georgia, but we’ve also made some awesome summer treats! Check out these delicious AND healthy lemon cookies that we have perfected and are finally ready to share with you – but first let’s talk about goals. Halfway through the year means it’s a great time to think about goals. Yep, goals in July! Did you set New Year’s resolutions? If so, revisit those to see if you are on your way to reaching them. If you aren’t (or didn’t set any), now is the time to adjust those goals or set new ones. Many goals revolve around losing weight, running a race or participating in another sporting event, or cutting back on certain things (like sugar or processed food!). No matter what your goals are, simple steps add up to big changes over time. We were just talking about how fast these six months went by, think of how far along you can be by the end of the year if you just get started today! You don’t need to wait until Monday or the first of the next month, do what you can with what you have right now! After you set your goals it’s a good idea to get a blank calendar so that you can fill in the days with your workouts, events, notes, etc. I love to write down the workouts I do each day. For example, one day on my calendar might look like this: 30-minute leg workout + 20 minutes on the stair climber + stretching. It keeps me accountable and I like to look at it to get a quick idea of what my workouts look like for the week. If you are looking for a workout plan, let us be your personal trainers with our detailed 4, 6 and 12-week She Sweats Workout plans. We guide your workout each day, telling you exactly what to do and what intensity to work at. We have everything you need! Find out more! Before we share our goals, we have a new Ladder Workout Challenge for you to try this month. This workout is great to do in the mornings just to get moving or add it to the end of a lifting session. It is a great way to get your heart rate up and finish your workout strong! Record your total time each time you complete the workout. Compete with yourself to see how quickly you can complete the workout – with proper form. Safety first – always! As you will see in the chart, you will be decreasing reps of one exercise while increasing reps of another exercise. 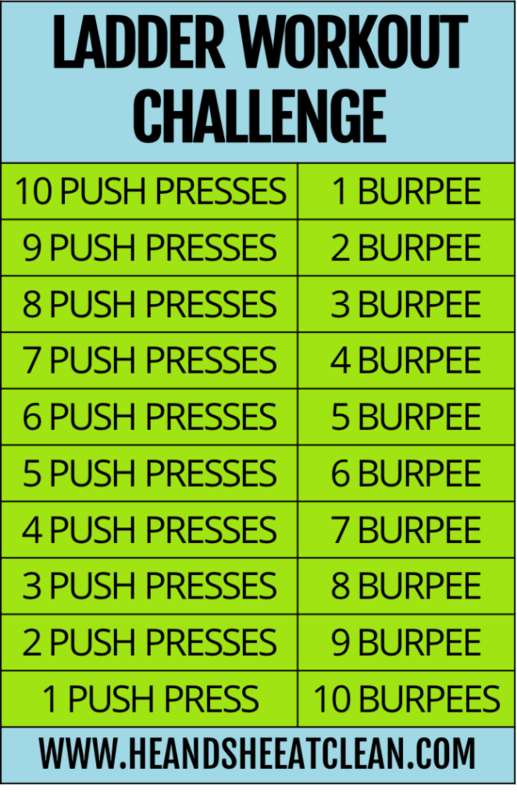 You will start by doing 10 push presses and move straight into 1 burpee, then do 9 push-presses and 2 burpees, and so on. Now it’s time to get honest about our goals so you can hold us accountable. 😉 We would love to hear yours too! Comment below and let us know what your goals are from now until the end of the year. If one of your goals does including reducing the amount of sugar you consume, try SPLENDA® Brand in the place of sugar. I know, I know. You are probably freaking out right now that we mentioned SPLENDA® Sweeteners. 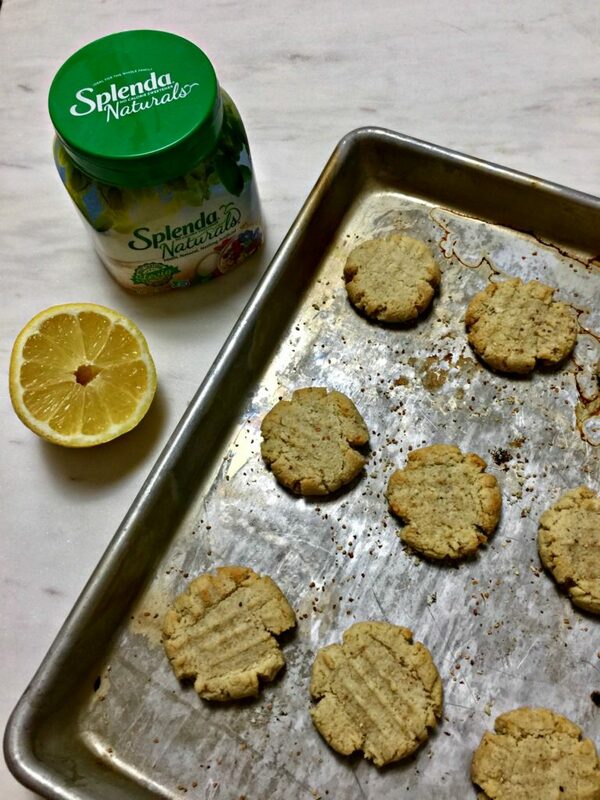 Hear us out though – they have a product you will LOVE and it’s called SPLENDA® Naturals Stevia Sweetener. It’s 100% natural (no artificial ingredients), with NO bitter aftertaste (because it is made with stevia extract Reb D instead of Reb A which is known for bitter aftertaste), and it has ZERO calories. We wanted to test it out before recommending it to you so we made a new dessert recipe for you to try – Healthy Lemon Cookies – perfect for summertime! And we’re pretty much obsessed with them. We may or may not have already made these cookies multiple times. P.S. We also tried SPLENDA® Naturals Stevia Sweetener to sweeten our tea and used it in our protein shakes and we loved it there too! We’ve made these cookies with almond flour and oat flour. We loved them both but they do taste very different. The almond flour gives the cookies a shortbread taste and provides a paleo, grain-free, and gluten-free cookie. The oat flour is equally as delicious and will also produce a gluten-free cookie if you use gluten-free oat flour. Scott liked the almond flour better and I liked the oat flour better – go figure! I say make them both and let us know which one you prefer. 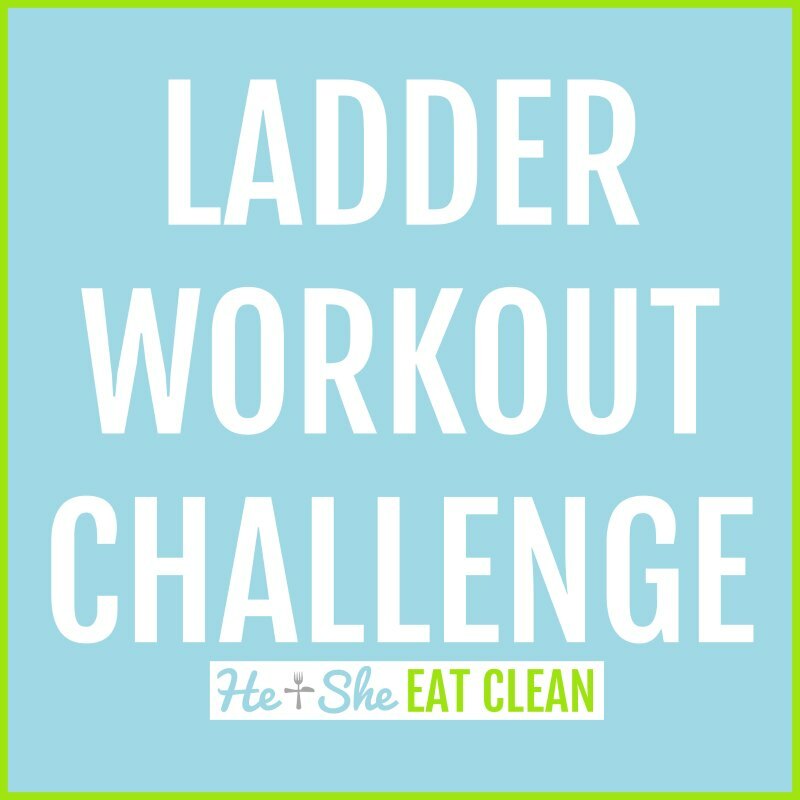 Let us know your goals, and when you try the ladder workout challenge and the healthy lemon cookies!